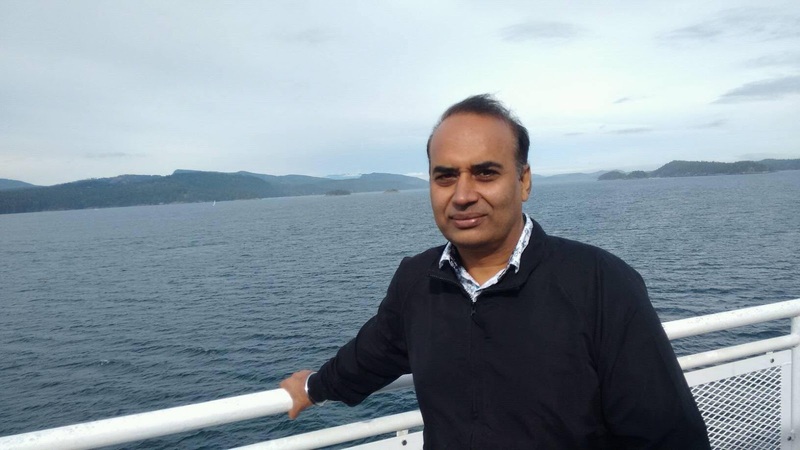 Responsibilities: General Secretary of Sant Ram Udasi Memorial Trust (International) Since 2009 ( www.thepoetudasi.com ) and Editor of Science Magazine 'Vigyan Jyot' since 1997. First Story: Nacchiketa Dee Maut (1995). ਨਚੀਕੇਤਾ ਦੀ ਮੌਤ (Nachiketa Dee Maut ) - Collection of Short Stories-1998: Vishav Bharti Parkashan, Barnala. ਖੂਹ ਗਿੜਦਾ ਹੈ (Khooh Girhda Hai ) - Collection of Stories-2004: Chetna Parkshan, Punjabi Bhawan, Ludhiana. Khushak Aakh Da Khwab , (Collection of Stories 2013): Tark Bharti Parkashan Barnala. Shayad Rammi Mann Jaye Te Hor Kahania (All Stories)- 2016, Edited By Dr Raminder Kaur: Gracious Books Patiala. RANG DI BAZI - (Collection of Stories 2018): Tark Bharti Parkashan Barnala. ਤੁਰਦੇ ਪੈਰਾਂ ਦੀ ਦਾਸਤਾਨ 2003 ( Biography of Revolutionary Comrade Darshan Dosanjh): Balraj Sahni Memorial Parkashan, Chandigarh. ਬਾਬਾ ਬੂਝਾ ਸਿੰਘ - ਗਦਰ ਤੋਂ ਨਕਸਲਵਾੜੀ ਤੱਕ (2008, In Punjabi), Tark Bharti Parkashan, Barnala. Baba Bujha Singh - An Untold Story - 2013 (English Version), Tark Bharti Parkashan, Barnala. ਚਮਤਕਾਰਾਂ ਦੀ ਦੁਨੀਆਂ (Chantkaran Dee Dunia -2000): Tark Bharti Parkashan, Barnala. ਨਰਕ ਕੁੰਡ ( Collection of Stories - 1997) Vishav Bharti Parkashan, Barnala. ਜੈਮਲ ਸਿੰਘ ਪੱਡਾ (Jaimal Singh Padda, Life and Selected Poetry - 2005) Tark Bharti Parkashan, Barnala. ਸੰਤ ਰਾਮ ਉਦਾਸੀ (ਸਖਸ਼ੀਅਤ ਤੇ ਸਮੁੱਚੀ ਰਚਨਾ) 2014: Chetna Parkashan Ludhiana. ਕ੍ਰਾਂਤੀ ਲਈ ਬਲਦਾ ਕਣ-ਕਣ: ਸੰਤ ਰਾਮ ਉਦਾਸੀ (ਜੀਵਨੀ) 2018, Tark Bharti Parkashan, Barnala. ਚੌ-ਮਾਸਿਕ ਸਾਹਿਤਕ ਮੈਗਜ਼ੀਨ 'ਰਾਗ' - ਮਈ ਅਗਸਤ 2017 ਤੋਂ.. Active in Tarksheel Society since 1993 for scientific awareness. 1988 to 1995 active as actor and drama-director in Punjabi Theatre. ਅਜਮੇਰ ਸਿਧੂ ਦੀਆਂ ਕਹਾਣੀਆਂ ਦਾ ਨਾਰੀਵਾਦੀ ਅਧਿਐਨ (2015-17) - ਹਰਪ੍ਰੀਤ ਕੌਰ, ਨਿਗਰਾਨ: ਡਾ.ਚਰਨਜੀਤ ਕੌਰ, ਪੰਜਾਬੀ ਯੂਨੀਵਰਸਿਟੀ ਪਟਿਆਲਾ. ਅਜਮੇਰ ਸਿੱਧੂ ਦੇ ਕਹਾਣੀ ਜਗਤ ਵਿੱਚ ਔਰਤ ਦਾ ਅਸਤਿਤਵ ਅਤੇ ਸਥਿਤੀ (2017) - ਚਰਨਜੀਤ ਕੌਰ, ਨਿਗਰਾਨ: ਡਾ. ਬਲਵੰਤ ਸਿੰਘ ਸੰਧੂ, ਗੁਰੂ ਕਾਸ਼ੀ ਯੂਨੀਵਰਸਿਟੀ ਤਲਵੰਡੀ ਸਾਬੋ (ਬਠਿੰਡਾ). ਅਜਮੇਰ ਸਿੱਧੂ ਦਾ ਕਹਾਣੀ ਜਗਤ: ਕਥਾ ਸਰੋਕਾਰ (੨੦੧੭), - ਪਰਮਿੰਦਰਕੌਰ , ਨਿਗਰਾਨ: ਡਾ. ਰਜਨੀ ਬਾਲਾ, ਦਿੱਲੀ ਯੂਨਿਵਰਸਿਟੀ (ਦਿੱਲੀ). ਸਮਕਾਲੀ ਪੰਜਾਬੀ ਕਹਾਣੀ ਦੇ ਸਮਾਜਿਕ ਤੇ ਸੱਭਿਆਚਾਰਕ ਸਰੋਕਾਰ ( ਮਨਮੋਹਨ ਬਾਵਾ, ਅਜਮੇਰ ਸਿੱਧੂ, ਜਸਵਿੰਦਰ ਸਿੰਘ, ਜਰਨੈਲ ਸਿੰਘ ਅਤੇ ਵੀਨਾ ਵਰਮਾ ਦੇ ਸੰਦਰਭ ਵਿੱਚ) 2011, ਜਗਜੀਤ ਕੌਰ, ਨਿਗਰਾਨ: ਡਾ. ਰਬਿੰਦਰ ਸਿੰਘ ਮਸਰੂਰ, ਕੁਰੂਕਸ਼ੇਤਰ ਯੂਨੀਵਰਸਿਟੀ, ਕੁਰੂਕਸ਼ੇਤਰ. Punjabi University Patiala has choosen some of my writings for their different courses such as: An article 'Exploitation of Nature'(Kudrat Dee Lutt) in book 'Environment Awareness'(collection of articles) for M.A Punjabi Part-2, since 2004. An other article 'Dharti te Vadh Rahi Tapsh da Kehar;' in book 'Environmental Problems and their Solutions' (Vatavarni Masle te Samadhan) since 2008 for B.A Part-1. Story' ਇਕਬਾਲ ਹੁਸੈਨ ਮੋਇਆ ਨਹੀਂ' in book 'Katha Sansar' since 2009 for B.A Part-2. 'ਇਕਬਾਲ ਹੁਸੈਨ ਮੋਇਆ ਨਹੀਂ' ਪੰਜਾਬੀ ਯੂਨੀਵਰਸਿਟੀ ਪਟਿਆਲਾ ਅਤੇ ਦਿੱਲੀ ਯੂਨੀਵਰਸਿਟੀ ਦੇ ਬੀ ਏ -2, 'ਸ਼ਾਇਦ ਰੰਮੀ ਮੰਨ ਜਾਏ' ਅਕਾਲ ਯੂਨੀਵਰਸਿਟੀ ਤਲਵੰਡੀ ਸਾਬੋ ਦੇ ਬੀ ਏ -1 ਦੇ ਸਲੇਬਸ ਵਿੱਚ ਲੱਗੀਆਂ ਹੋਈਆਂ ਹਨ. I have participated in 'Third American Punjabi Story Confrence' organised by Punjabi Sahit Sabha California(Bay Area), in Milpitos on September 2006. I also read research papers on topic '' Amriki Punjabi Kahani de Pashann Chin''. During the stay of 8 weeks I have travelled many historical and tourist places in three states on America. I have also participated in many sports, literary and cultural programs in California. Belief: - Struggle for freedom of humanity and well-being through liberal thought and liberal writings. Story: - Mainly concentrated on modern human's mental complications and social-confusions. 'Yuva Purskar 2005-06' National Level Award by Bhartia Bhasha Prishad Calcutta (West Bengal). 'Bhai Veer Singh Galp Purskar - 2000' for First story book ' Nachiketa Di Maut' by Guru Nanak Dev University Amritsar. 'Kartar Singh Dhaliwal NavPartiba Purskar - 2003' by Punjabi Sahit Academy Ludhiana. 'Principal Sujan Singh Utshah Vardik Purskar - 2000' by Jillah Sahit Kender Gurdaspur. 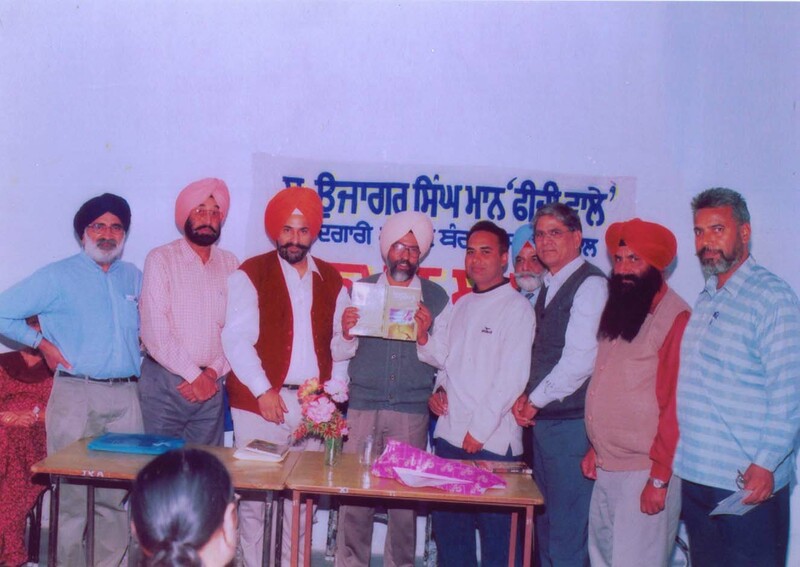 'Kulwant Singh Virk Award - 2008' by Shaheed Bhagat Singh Sports Club Cheema Kalan (Jalandhar). ਜਸਵੰਤ ਸਿੰਘ ਪੁਰੇਵਾਲ ਯਾਦਗਾਰੀ ਟਰੱਸਟ ਨਿਓੂਯਾਰਕ ਅਤੇ ਅਦਾਰਾ ਰਾਗ ਵਲੋਂ ਪਹਿਲਾ ' ਡਾ. ਜਸਵੰਤ ਸਿੰਘ ਪੁਰੇਵਾਲ ਅੰਤਰ-ਰਾਸ਼ਟਰੀ ਪੁਰਸਕਾਰ 2017 ਦਿੱਤਾ ਗਿਆ.